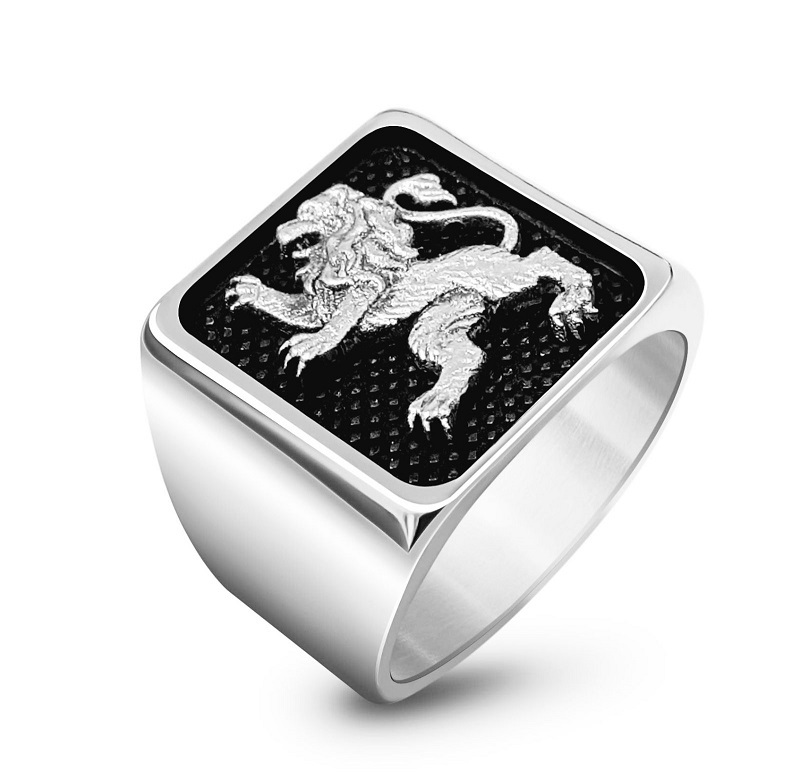 This attractive Men's Jerusalem Lion ring is made of 925 Sterling silver, simply the best type of ring a man can be wearing, a sign of both strength and pride in your Judaism. This gorgeous ring made of 925 Sterling silver is a perfect design for a men's ring. with a square top, a framed carving of a silver ion of Judah is rampant against the top, on a backdrop of textured blackened silver. The rest of the design is sleek and smooth, a wide men's ring that looks both strong and detail oriented. 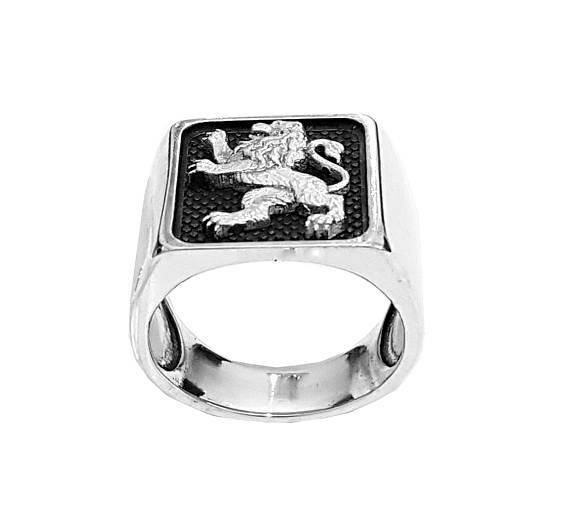 Your love for your heritage can shine through with this Israeli Jewelry ring that shows both strength, like a lion, and a specific connection with Judaism, through the design of the specific Lion of Judah. This ring makes a great choice for your own accessory collection, as well as for a gift to the unique man in your life who can pull it off.